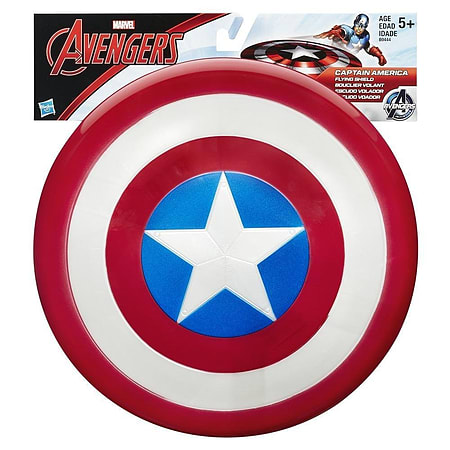 Size your crime-fighting skills with a flying shield that looks just like Captain America's. When you launch this shield at the bad guys, it flies through the air and takes down both the evildoers and their evil plans. With this high-powered shield on your arm, there's no telling where your Avengers adventures will take you. Marvel products are produced by Hasbro under license from Marvel Characters B.V.